Trigeminal Neuralgia or Tic Doloreux is characterized by an extreme, razor-sharp, jabbing pain in the forehead, cheek or jaw. Some patients first notice the unexplained dental pain that persists even after dental surgery, resulting in misdiagnosis. Most dental procedures such as root canal are implemented to eliminate tooth pain that is truly brought about by trigeminal neuralgia, making the diagnosis difficult. The 5th cranial nerve or Trigeminal nerve is the nerve that supplies sensation and movement in one’s face and jaw. 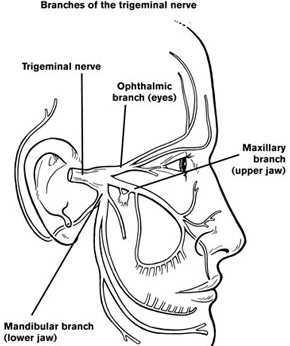 The most common cause of Trigeminal Neuralgia is vascular compression of the trigeminal nerve by a small artery. The compression of the nerve results to spiky and sharp pain felt on the side of a person’s face. The pain associated with trigeminal neuralgia can be a penetrating and shooting pain that is felt in the jaw area that is often triggered by the slightest activities such as washing the face, chewing, or speaking. In severe cases, drafts contribute to the sensation of the pain felt. The pain is unilateral, that means it occurs only on one side of the face and it arises at intervals. 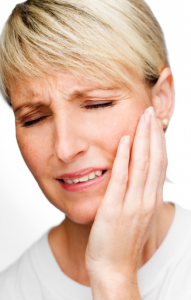 In some cases, trigeminal pain can be described as throbbing and burning. It usually occurs constantly. The causative factors related to the development of this type of pain includes (but not limited to) abnormal growths or tumors that press on the trigeminal nerve, conditions that can cause inflammation of the trigeminal root such as Multiple Sclerosis and Herpes Zoster, and injury to the trigeminal nerve caused by stroke or other procedures. The primary pharmacological treatment for the pain felt in trigeminal neuralgia is Gabapentine (Tegretol). Gabapentineis used as an anticonvulsant and used to treat patients with seizures, but are also seen to exert a positive effect on the pain related to Trigeminal Neuralgia. This medication slows nerve excitation and relieves nerve over activity, decreasing the pain around the jaw and cheek. 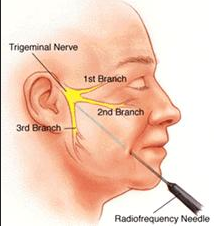 Trigeminal nerve blocks may help considerably for the pain. If they help, then longer lasting relief may be seen with injection of glycerol or phenol. Additionally, a radiofrequency procedure may be performed by the Seattle pain management doctor. What is the Prognosis for Trigeminal Neuralgia? With proper management of the pain associated with Trigeminal Neuralgia, patients can go back to their usual activities and carry out tasks without the sensation of pain. The majority of the time, patients are able to avoid the need for surgery. Patients are able to change their lives and get back to working, playing with the kids and concentrating better. Seattle Pain Relief offers the top treatment for trigeminal neuralgia and facial pain with Double Board Certified pain doctors. Most insurance is accepted, call (206) 536-3007 for pain management Seattle trusts!